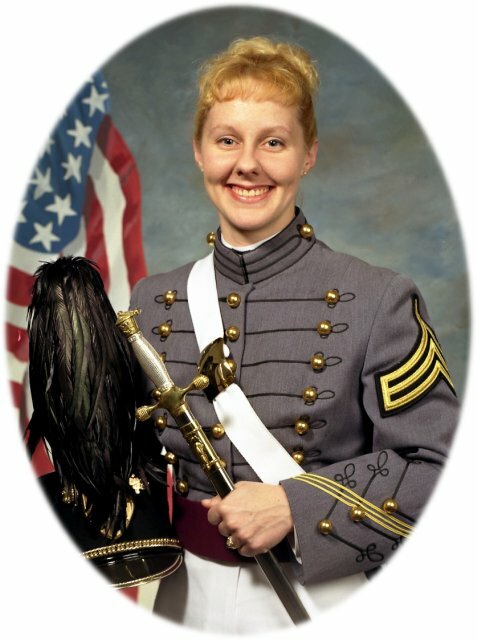 Becks was my partner in crime at West Point. I still have the picture of us sitting on my desk from the graduation parade with huge "how did we ever make it through" smiles. We warmed the bench together, made it through Airborne School, gossipped endlessly, hit the art museums, and she took me to my first (and only) goth club. I was so proud of her when she not only completed Air Assault, but was an honor grad and was double tabbed. Somehow everyone always underestimated her. Some of my best memories from those times involve Becky Jarabek. I remember one time she said to me, "I wish I could live a thousand lives - not because I'm unhappy with this one - but because there is so much I want to do that I just can't fit it into one lifetime." I hope you have that chance now sweetie. To her family, especially Abby, I send my thoughts and prayers. I hope the happy memories can sustain you through this trying time.